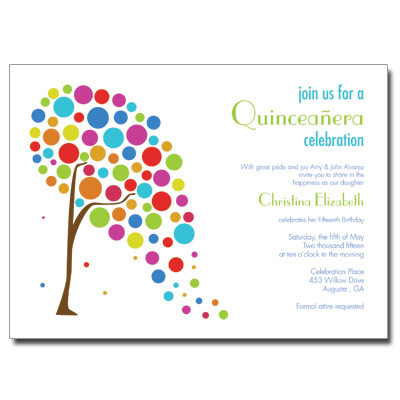 Celebrate your Quinceanera with this whimsical invitation featuring a bright and colorful polka dot tree. Your daughter's name is printed in a vibrant lime green accented by your event information in a cool blue. Card measures 7 x 5.